Today, I have four more polishes from Glitterfied Nails up for review--Polished Penny and Peachy Keen as well as two polishes from Andrea's recent Team Spirit Collection, Defensive Line and Kickoff! First up, I have for you is Polished Penny--a shimmery copper polish with copper and teal green microglitter. This polish is rather on the thick side so you can definitely get away with one generous coat and a thick layer of topcoat. I used 2 coats for the swatches below. 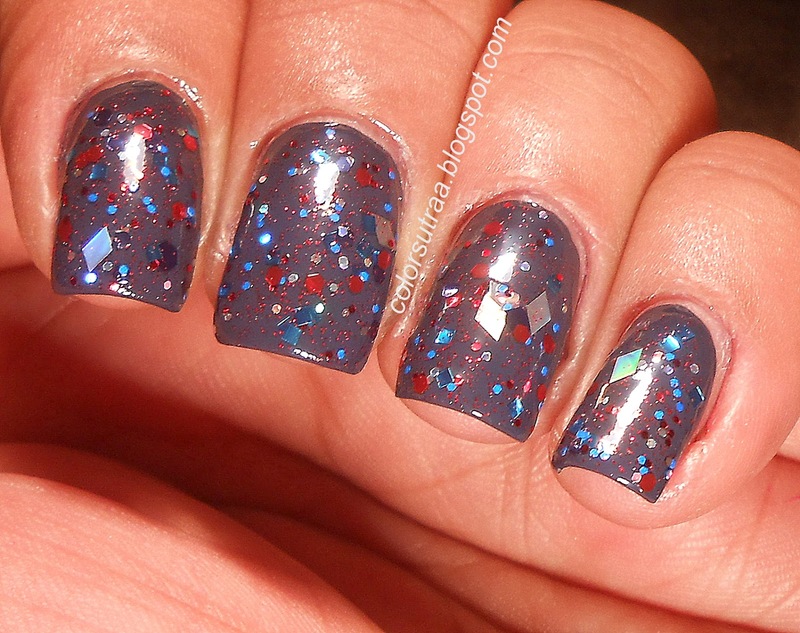 Next, I have the first of the two polishes from the Team Spirit collection, Defensive Line--a clear glitter topper including red, blue and silver hex and microglitter as well as holographic silver squares. 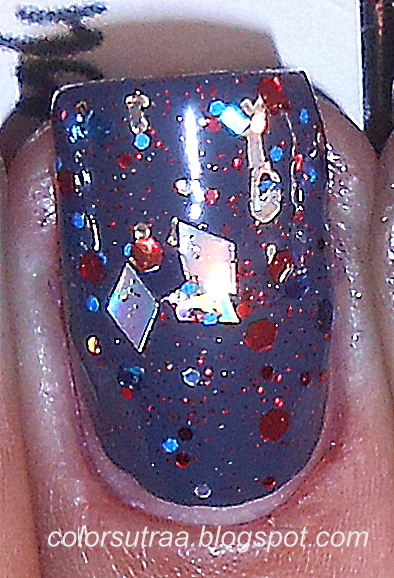 The application on this polish was great--even the larger silver squares came out fairly easily. I used 2 generous coats over 2 coats of Barielle's Tres Chic (from the upcoming Sophisticated Lady collection reviewed HERE), topped with one coat of G&G's HK Girl to finish the look! 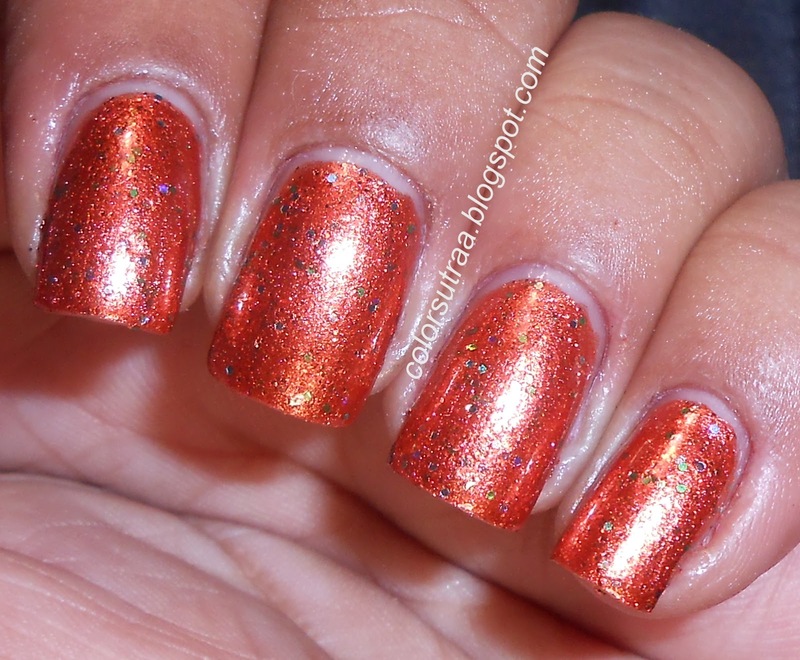 The third polish I have reviewd is Peachy Keen--a peach polish with red, orange and gold microglitter. The application on thsi was pretty good and the polish itself dried quite quickly to an almost matte finish. 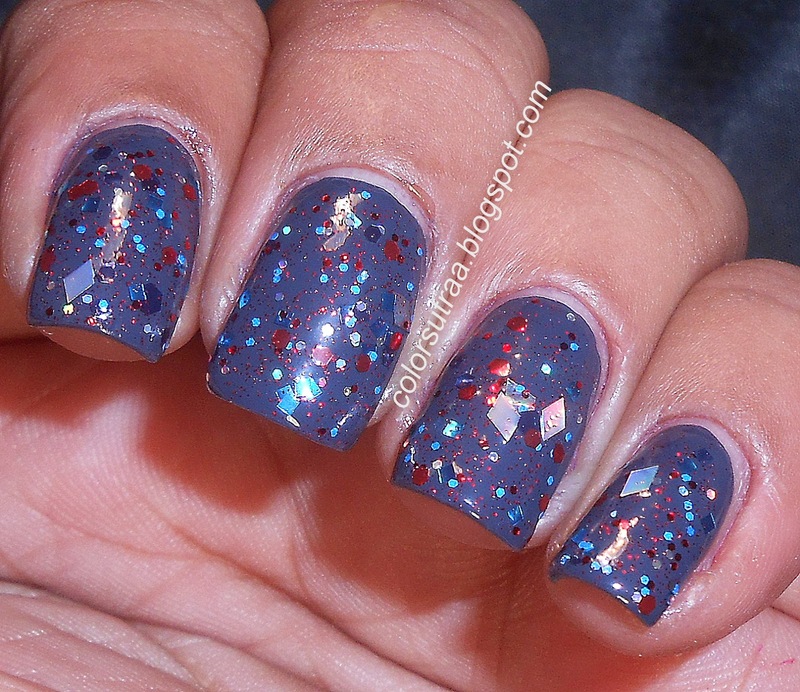 I used 2 coats for the swatches below, topped with one coat of G&G's HK Girl to finish the look. 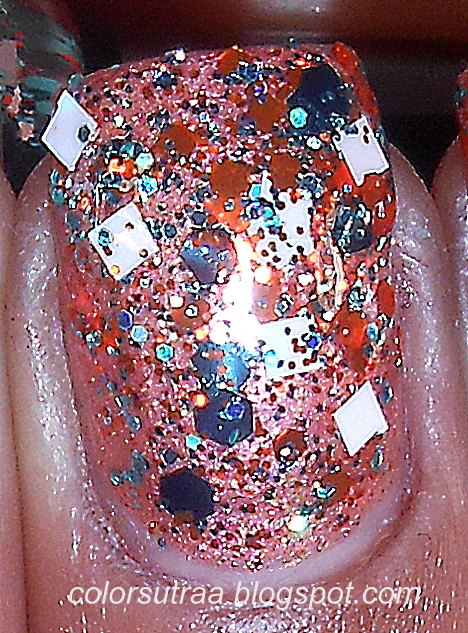 Last but not least, I have the second polish from the Team Spirit collection, Kickoff--this clear-based topper is a true glitterbomb, full of a plethora of orange and teal hexes as well as white squares. 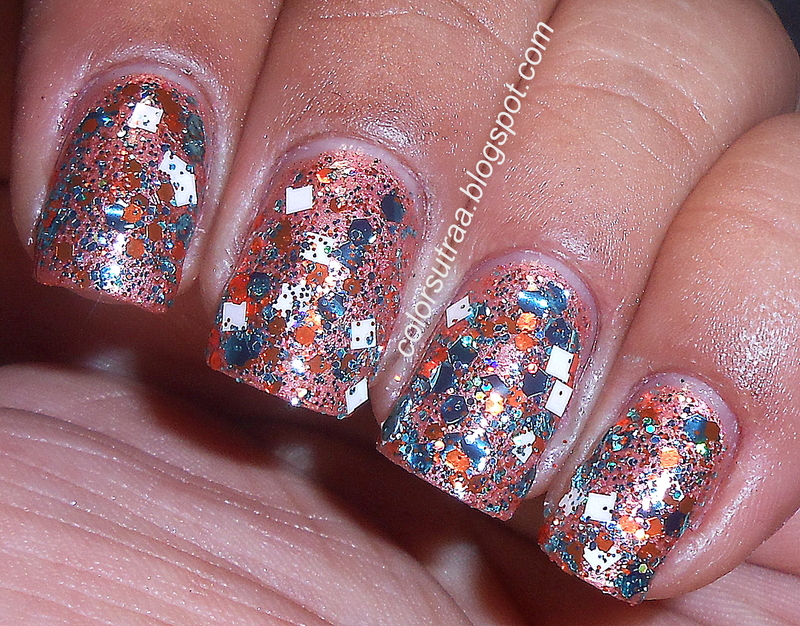 The swatches below show two coats over Peachy Keen, topped with two coats of G&G's HK Girl to finish the look.